The Italian hacking group CPY announced today it finally cracked Assassin’s Creed Origins meaning people with pirated versions of the game will now be able to bypass its DRM protections. The announcement from CPY cropped up on the CrackWatch subreddit earlier today where commenters have been speculating for months about when and if the game would ever have its DRM cracked. This was after the initial controversy surrounding Ubisoft’s decision to include so many layers of anti-piracy protection due to complaints from regular PC players that the combination of Denuvo 4.8, VMProtect, and Ubsisoft’s standard Uplay security were an usual drain on their system’s resources. Most new games get cracked by hacker groups within weeks or even days of release at this point. Early last year, a slew of games had workarounds for their Denuvo anti-piracy protection put out in record time, starting with Resident Evil 7. 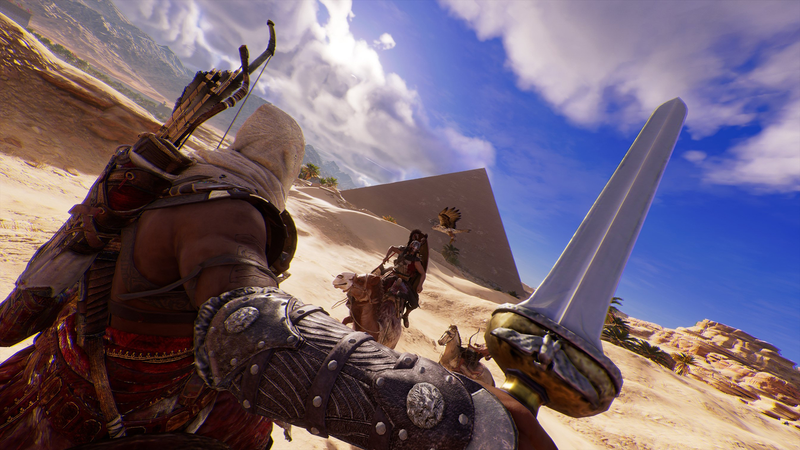 Assassin’s Creed Origins managed to keep its various layers of protection intact for much longer, however, due in part to a newer version of Denuvo than what past games were using. CPY, which sometimes cracks games under the name CONSPIR4CY, has been responsible for cracking many of the biggest games over the last few years including Doom, Inside, and Resident Evil 7. The roll out of Denuvo 4.8, however, seemed to have stop it and other groups in their tracks. Middle-earth: Shadow of War, South Park: The Fractured but Whole, FIFA 18 all used an older version of Denuvo and were each cracked within a day of release. It wasn’t until late January that version 4.8 was first cracked with Sonic Forces, but Assassin’s Creed Origins still presented unique challenges due to the added VRProtect and Uplay protections. With piraters now able to bypass the game’s protections, it’s unclear whether Ubisoft will keep all of the anti-tampering tech in place. Certain publishers have patched their games after they’ve been cracked to remove Denuvo, which is what happened with Doom and Inside. In Doom’s case, a spokesperson for Denuvo told Kotaku at the time that the reason it was removed was because it had already accomplished the main goal of protecting the game during its initial sales window. At three months, Assassin’s Creed Origins’ anti-piracy protections accomplished something similar. The company hasn’t been one to remove Denuvo after the fact in the past, however. Kotaku has reached out to both Ubisoft and Denuvo for comment on the matter.